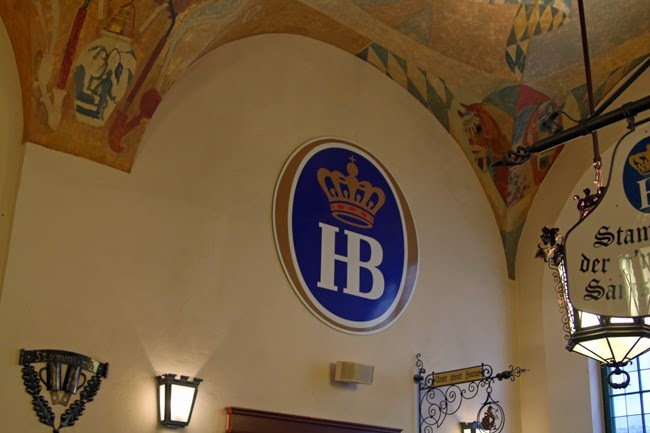 After touring Nymphenburg Palace, we came back into the city center and decided to have lunch at the Hofbräuhaus. Bryn and I had only had beers there the first time, and mom and dad weren't opposed to a second meal there! 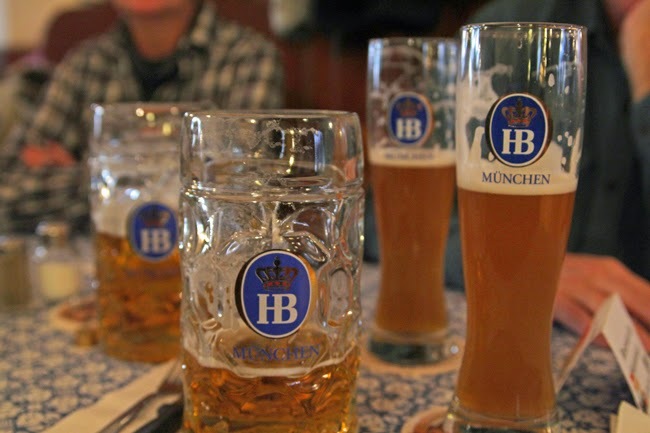 A little bit of history...Did you know it was founded in 1589 when Duke Wilhelm V decided there was a lack of good beer in Bavaria? 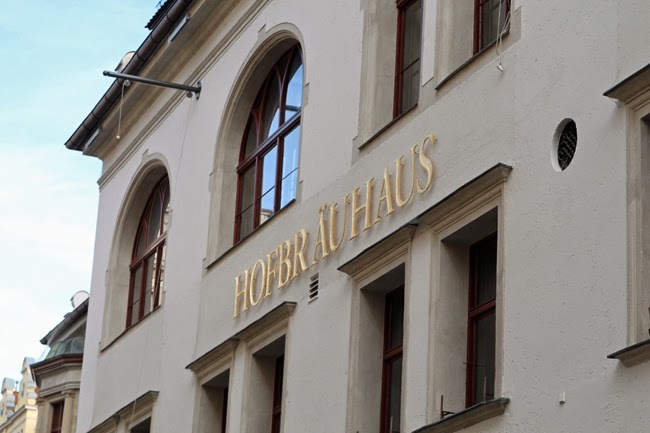 He was sick of having it shipped in from Saxony, and thus the Hofbräuhaus was born! 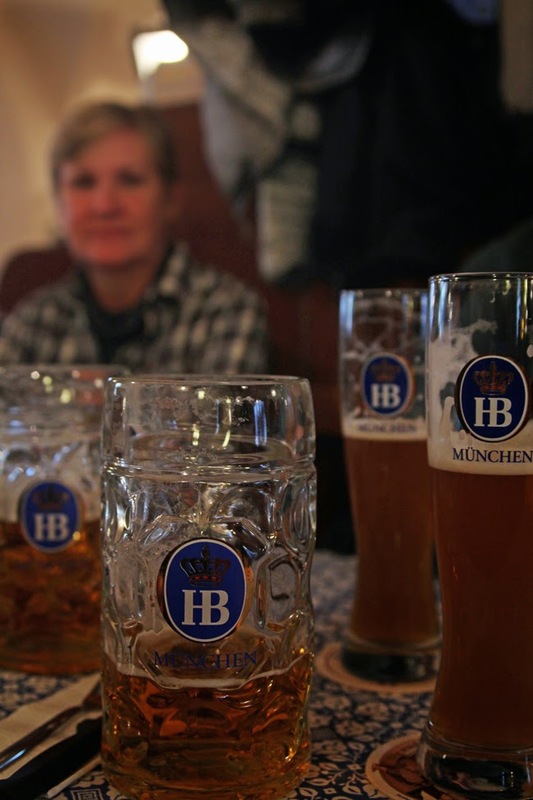 It, along with many other beer halls, was the site of several Nazi party meetings. 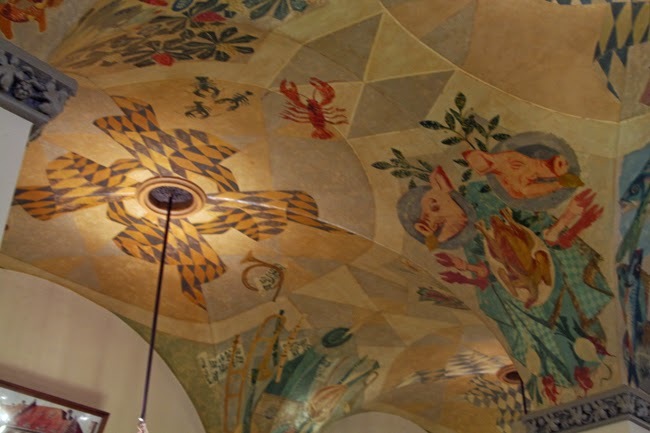 Apparently the ceiling of the front hall was decorated with swastikas, which were painted over after the war. 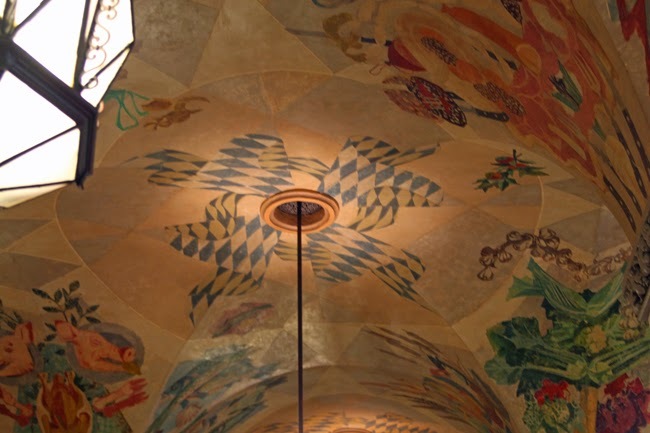 However, no matter how many coats of paint were added, they were still visible, hence the artistic Bavarian flag designs. 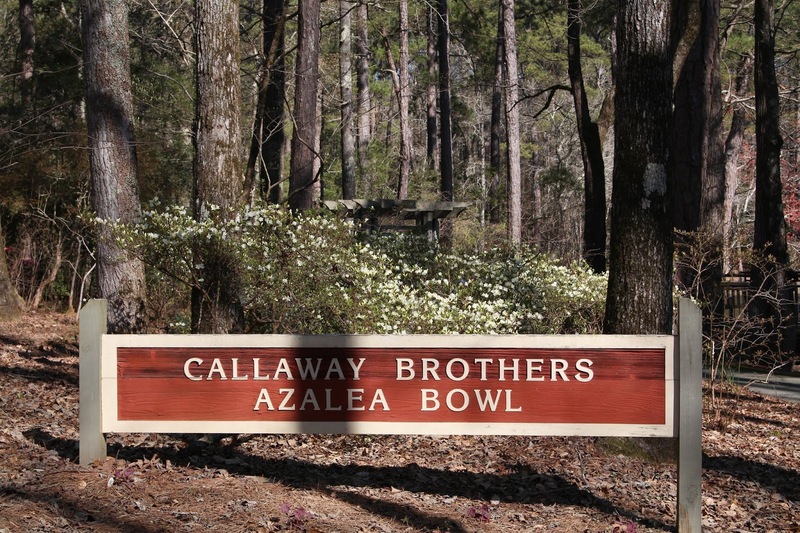 Who knew! We grabbed a table right next to the band and ordered beers and food. 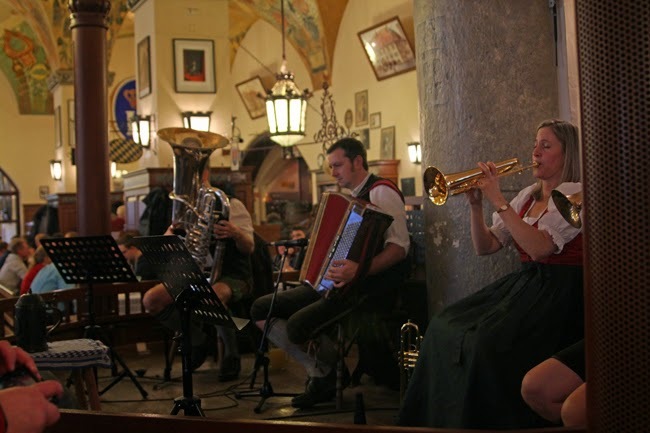 Then, we sat back and relaxed while the band played traditional German music intermixed with a few Christmas songs. 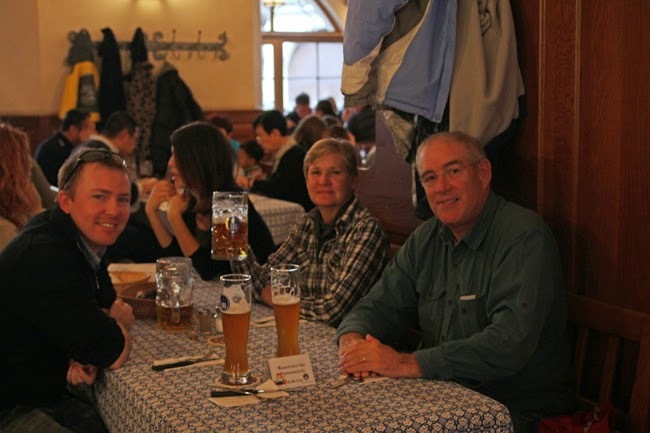 It was definitely a good "last meal" in Germany!